President Trump recently lifted a ban on allowing elephant trophy imports to the USA sparking reactions from many quarters. Here’s what’s going on. President Trump has decided to put on hold an earlier decision allowing elephant trophy imports to the United States. This was after he had agreed to lift the ban that former President Obama had put into place during the Obama administration. Just a little background, President Obama had put a ban on Elephant Trophy imports in 2014. Elephant importations from Zimbabwe had been shut since May 2014 after import boycotts. Elephant Trophy Imports: Why The Change In Decision By President Trump? Trump’s announcement that he would lift the Obama ban on this issue quickly led to sharp outcry from many quarters. This statement leads many to believe he is likely to leave the ban in place. Eventually, Trump said on Twitter that he would report an ultimate conclusion as soon as he made his decision. He indicated that he doesn’t buy the contention by professional hunters inside his Interior Department that the imports help jeopardized African Elephants. 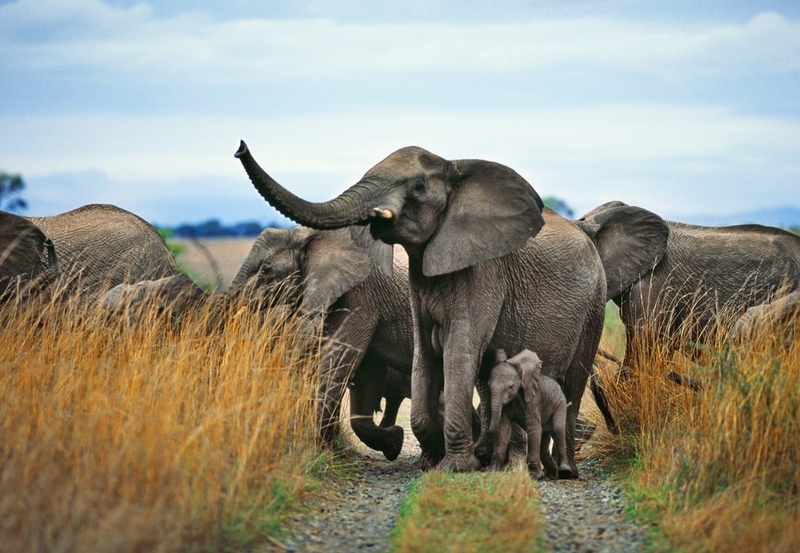 In the past century the African elephant population has declined dramatically from several millions to around 400,000. And it just keeps declining at faster rates. Trophy hunting allows hunters to kill a selected number of elephants for a fee of up to $10,000 each. Any Hope For Africa’s Elephants? Surprisingly, many of the nations hosting these elephants are actually in support of the elephant trophy imports to the USA. In other words, they support elephant trophy hunting in general. In addition, the U.S. Fish and Wildlife Service (FWS) said allowing elephants from Zimbabwe and Zambia to be brought back as trophies will fund-raise for protection programs. And that this would help Africans earn the money they need in order to survive. Some of the countries affected like Zimbabwe for instance, state they have a management plan on their survival. But it does not look like it . Also the Zambia Wildlife services state that they have a management plan that will improve the survival chances of the species in nature. Zimbabwe for one says it has upped its approach to stopping poaching endeavors and now has “a more precise, logical approach” to setting up limits on elephants that can be hunted. They also stated that they were progressively supporting neighborhood protection endeavors. Many African native individuals are in support of the hunting and are asking; why would you ban our needs for survival? Supporters/hunters say cash produced from these hunts help elephant conservation. They also add that it helps to provide a source of livelihood to poor African communities. Unfortunately, most of the money appears not to end in the pockets of the poor as intended. Whether you are for or against elephant trophy hunting, there are two sides to this story. Even if countries like Zimbabwe say they are able to put a limit on hunting elephants, how can we ensure they are actually doing this? Is there a way to know for sure that the imported trophies are actually helping the poor and conservation of Elephants? Or does it just go straight into a rich mans pocket? For centuries, man has hunted to make a living and stay alive, but there is a very clear line between hunting for survival and hunting just to make money. This entry was posted in Elephant Information and tagged African elephant, African elephants, Asian elephants, elephant conservation, elephant facts, elephant trophies, elephant trophy hunting, elephants, illegal ivory trade, poaching elephants on November 25, 2017 by Roselyn Onuche.